Lavender Rose Gifts offers a use-it-up birthday party favor option for tots – soap! But not boring old soap. These are tiny soap favors kids will love. 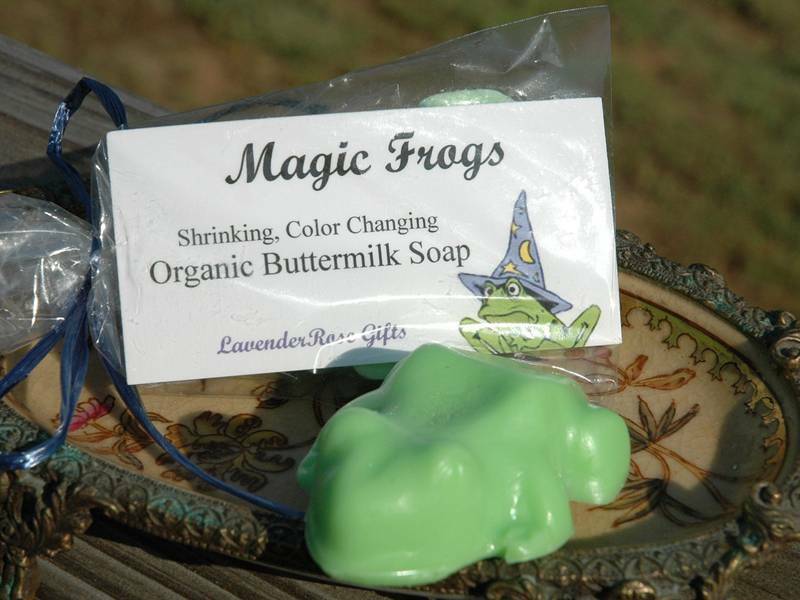 For example, if your child is hosting a Harry Potter themed birthday party, why not let kids get magically clean with Harry Potter Inspired Magic Shrinking Color Changing Frogs Organic Vegan Soap? These ‘magic’ frogs are made with an exclusive blend of organic buttermilk and hemp seed oil and are 100% fragrance free. As the soap melts away after use, a neon bright soft rubber frog is revealed, magically changing the color of the soap. Each 2 oz Harry Potter soap bar comes packaged in a cello bag with card and is tied off with raffia color of your choice. 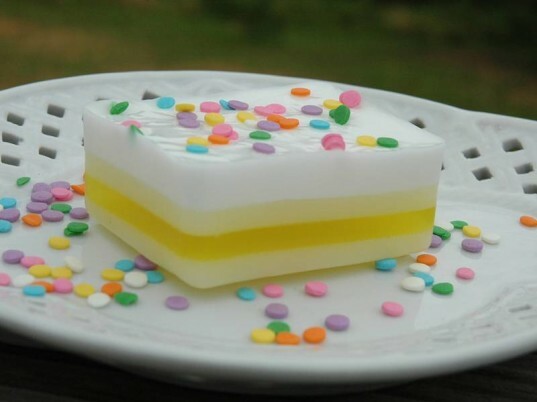 If Harry Potter isn’t your child’s cup of tea, there are more fun soap birthday favors to choose from, such as Lemon Cake (shown above), Red Fish Blue Fish, Purple Monkeys, Fairy Princess Magic Wands and so many more. Lavender Rose Gifts makes all their soaps with organic, cruelty free and vegan friendly ingredients when possible, so they’re safer to hand out as favors than typical bath goods. Kids will adore the imaginative designs, and face it, squeaky clean fun is a good time for both kids and parents. Bonus – this is an affordable, eco-friendly party favor.